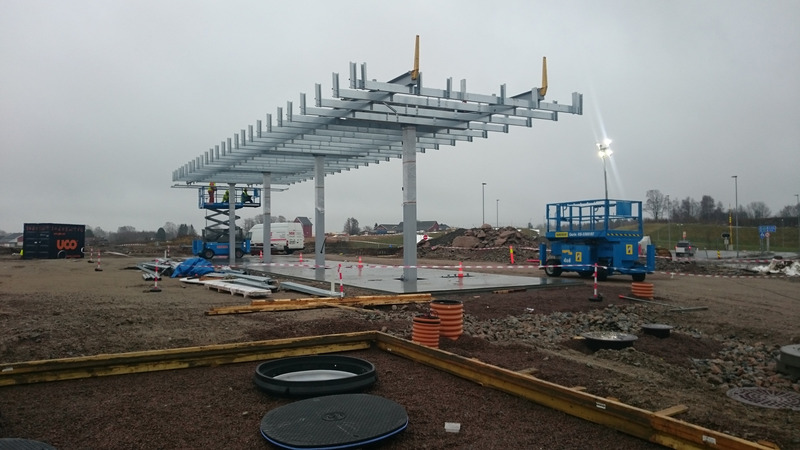 Circle K Norge AS works continuously to build petrol stations to meet the needs of new and existing road systems and is always on the lookout for new plots on which to build. 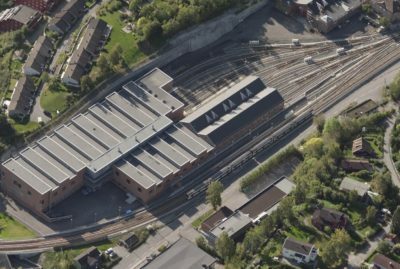 NCC is a general contractor and has a framework agreement with Circle K Norge AS for the construction of new petrol stations, and for renovation and extension work to existing stations. 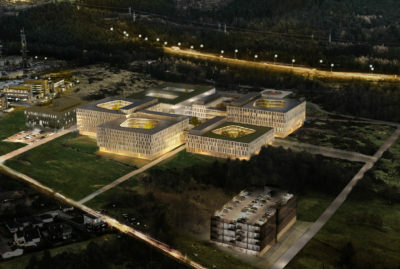 Aas-Jakobsen has been the consulting structural engineer for NCC on all these projects. 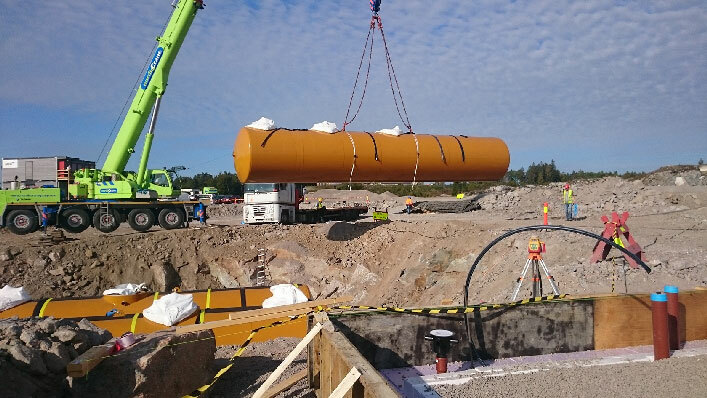 At Circle K Ringskogen, we have also had the role of responsible applicant for building permissions and HSE coordinator during the construction phase, in accordance with the Client Regulations. Circle K Ringdalskogen is a steel and sandwich building with a lightweight roof. The canopy over the pumps for cars and HGVs was supplied by Global MSI from Poland, and we designed the foundations. All the engineering design and reinforcement was done in Tekla. The design team has remained essentially unchanged for the last 10 years. This is also true for the contractors, so we have gradually got to know each other well. It means that the interaction between the design team and contractors works extremely well. 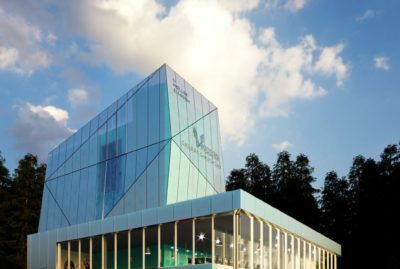 There are many factors to take into consideration when designing petrol stations, and we work closely with all the disciplines in order to achieve the best results for the client. 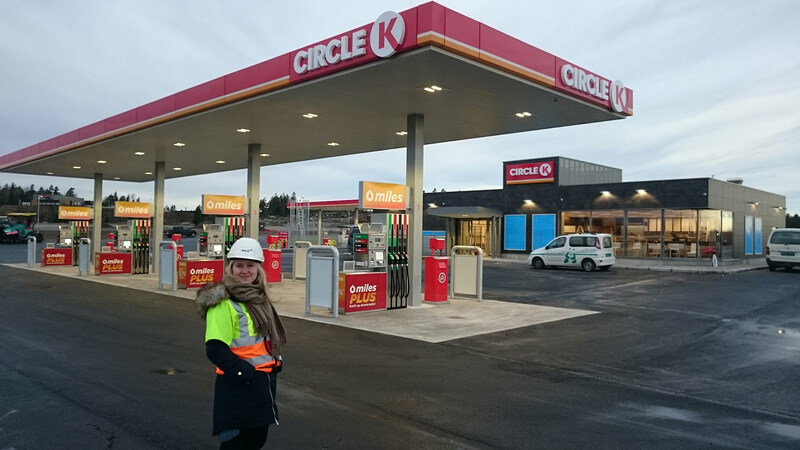 Circle K Ringdalskogen opened in January 2017, after a 14-week construction period, and the client, contractor and designers were all very satisfied with the result. The only question remaining is whether more fast chargers need to be added for electric vehicles. We will have to see what the future brings - maybe petrol stations will soon have to change their name to energy stations?